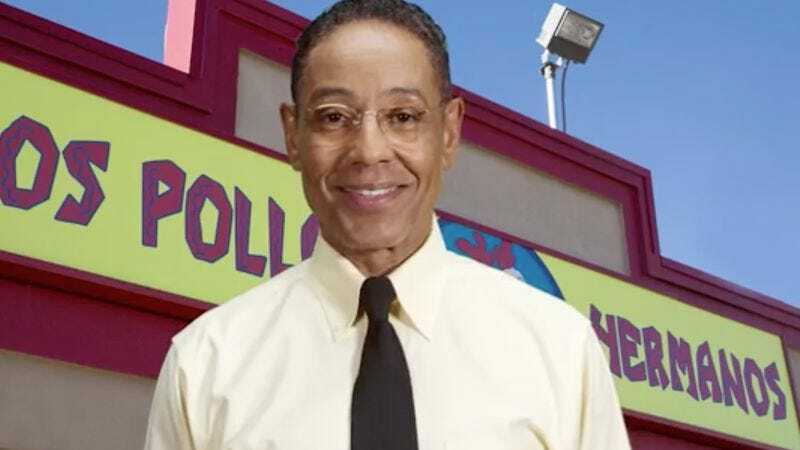 Better Call Saul’s fried chicken franchise of choice, Los Pollos Hermanos, has released some employee training videos that feature Gus Fring walking them through their daily responsibilities. (Good luck trying to remain as composed as Gus, though.) In this exclusive video The A.V. Club is premiering, the Pollos Hermanos proprietor explains how to handle those pesky “other duties as assigned,” which include waste disposal. Yes, Gus clearly runs a tight ship. And now he’s looking for an executive liaison who will maintain a calendar of important dates, like Cynthia’s birthday and the DEA fun run. Obviously, that’s not a real job application, but if you do enter the contest, you’ll have a chance to win a trip to LA with a friend for something called “an exclusive Better Call Saul experience,” which probably also sounded like a lot of fun to whomever ended up in that duffel bag. We’re kidding, lying on a heap of trash is probably some kind of team-building exercise.